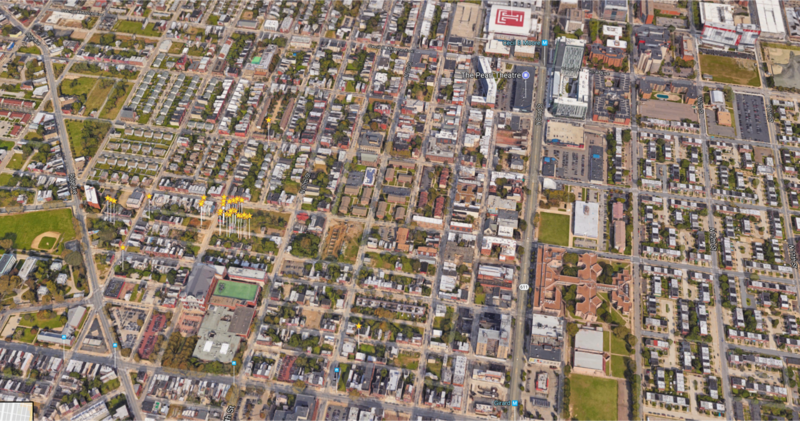 1727-1737 Ingersoll St. – 12 unit building with all the latest amenities located in Sharswood neighborhood of Philadelphia. The first 6 units will include 2 bedrooms and 2 full bathrooms. While the other 6 units will include 3 bedrooms and 3 full bathrooms with access to a rooftop deck. The construction should be complete and available for rent around Summer 2019. 1824 W Master Street is a full gut rehab. The building will be 6 Bedrooms and 3.5 Baths with a rooftop deck. The construction should be complete available for rent around end of Summer 2019. Coming soon – Currently land. 4614-4618 Ludlow St. – 12 units total, 9 of which are 2 bedroom 2 bath, 3 units are 1 bedroom 1 bath, Located in Walnut Hill neighborhood of Philadelphia. Coming soon - 1528 West Stiles Street is the lot next to the building in the picture. It's currently just land now but it will be a Duplex - 2 X 3 Bed 2.5 Baths and 2,880 square feet. 1325 N. 18th street, a mixed-use triplex; 1st floor co-working office space for Raza Properties & other businesses and residents in the area that need a place to work and network. 1314 N. 18th street is a Triplex with 3 residential units that was approved with the proviso that we should not have bedrooms in the basement. We will change the bedrooms in the basement to a study room in the front and den in the back. 1314 N. 18th street already had civil engineering plans completed by Michael Fina at ambric technology. 3 Units - 4,250 square feet, located in Sharswood, Philadelphia. CUSTOM PROJECT - Leopard St.
Leopard St is a custom project that is currently under construction. The stunning property is located around Northern Liberties and Fishtown. The energy efficiency windows and HVAC Installation is competed. CUSTOM PROJECT - Wildey St.
Wildey St is a custom project that is currently under construction.